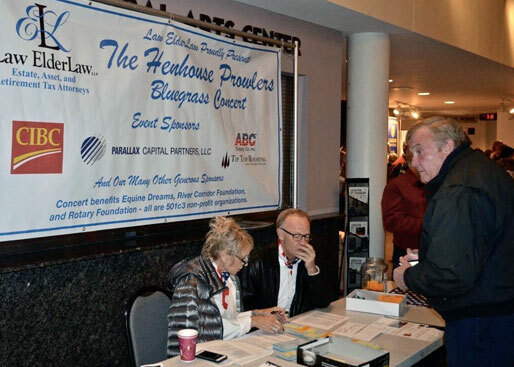 The River Corridor Foundation teamed up with the St. Charles Noon Rotary and Equine Dreams to present the Hen House Prowlers blue grass band on Saturday 11/4/17 at the Norris Cultural Arts Center in St. Charles. 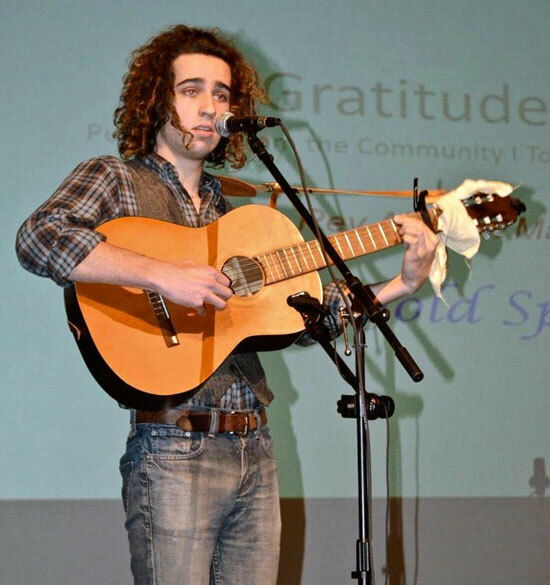 Prior to the concert, the non-profit groups held a silent auction and also raised funds with a raffle. The three groups split the net proceeds supporting college scholarships, therapeutic horse programs and the Active River Project in St. Charles. This was the seventh annual event which has raised almost $200,000 for these community programs. 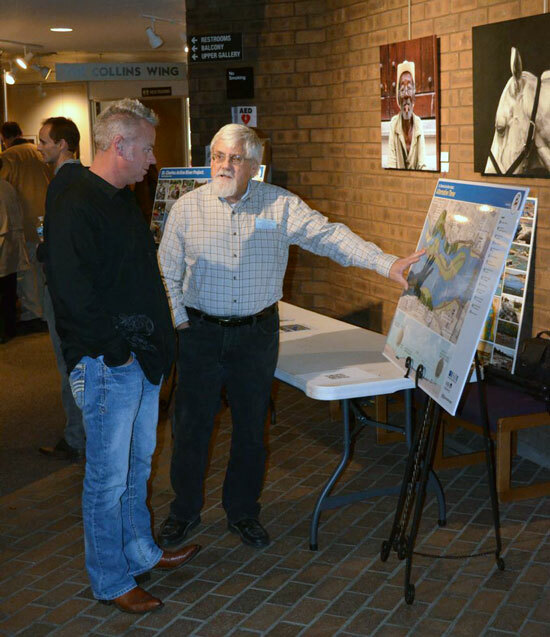 Jim Enck of the River Corridor Foundation explaining the Active River Project proposal to concert attendees. This project would relocate the current Fox River dam creating cycle and walking paths under the Main Street bridge, improving trail connectivity, enhancing on-water recreational activities in the heart of downtown St. Charles and provide a strong economic boost to the entire city based on the results from similar projects across the country. Proceeds from the annual event benefits the three local 501(c)-3 non-profit organizations sponsoring the show — the St. Charles River Corridor Foundation, Rotary of St. Charles and Equine Dreams. For eleven years, Chicago’s Henhouse Prowlers have built a reputation for hard work and non-stop touring, playing music inspired by the roots of bluegrass while branching out into a sound uniquely their own. Their music ranges from lightning fast picking, to sentimental ballads—playing original material, traditional songs, and contemporary covers. The Prowlers have released seven albums with each member collaborating in contribution. The band worked with the US State Department on four separate trips in ten different countries in Sub-Saharan Africa as well as Russia, and put yet another notch in their European belt this summer. They continue to push the envelope with their highly original songwriting, tight arrangements, electrifying stage presence and the best fans in the world by their side!